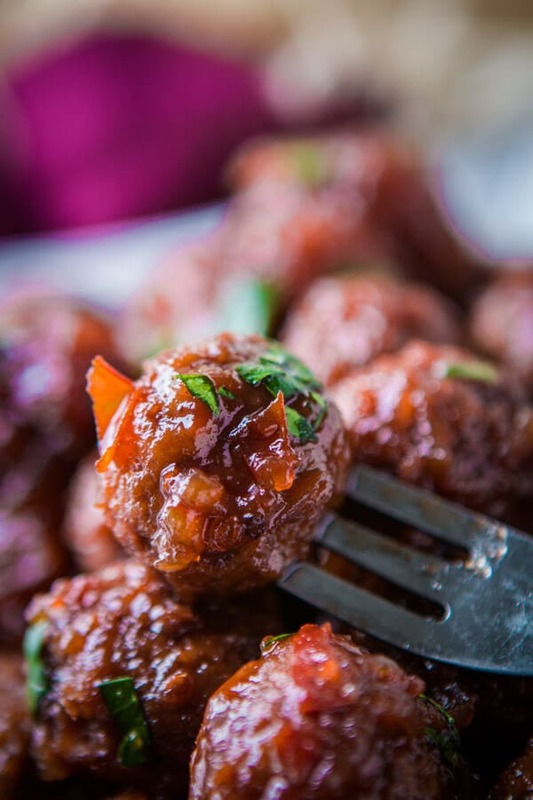 Raise your hand if your mom used to make Chili Sauce and Grape Jelly Slow Cooker Meatballs! Mine did too but I’d forgotten about them until now! Before we jump into the recipe, thank you, thank you for all of your support with our cookbook!! We’ve loved seeing all of your photos pop up on our Facebook page of you with your book! 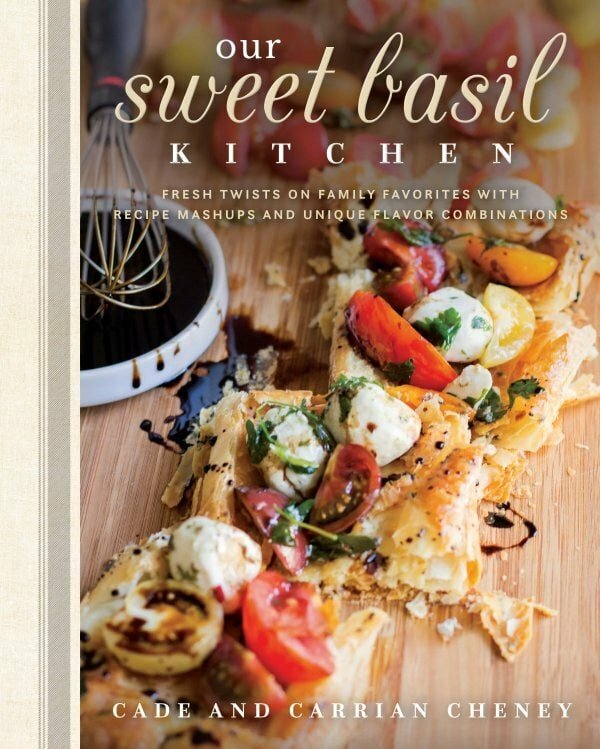 If you haven’t preordered yet, CLICK HERE! When I was growing up I knew that there was one and only one recipe that we would never share, Mom’s chili sauce. Which is actually Grandma’s chili sauce. 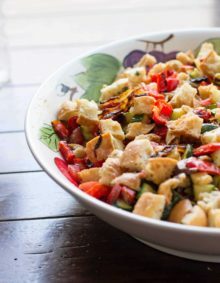 In case you haven’t read this blog before, we love heirloom recipes past down through generations. To this day we haven’t shared that secret recipe as we respect the “secret”, however I do make it every year. It takes all day. In fact, it often takes two. But it’s worth it. Why do You Use Breadcrumbs in Meatballs? Bread crumbs are a binder (aka panade) that helps add moisture to the meatballs and also prevents the meat proteins from shrinking and becoming tough. Somehow I ended up with extra chili sauce this year and when deciding what to make with it I suddenly remembered those chili sauce grape jelly slow cooker meatballs. I couldn’t wait to make it again. Because you’ll be buying your chili sauce, make sure you look for one that is thicker and preferably one that’s local to your area. Those local products often taste much better when you’re talking about a chili sauce. Ours is thicker which chunks of our secret ingredients, but this isn’t a deal breaker if you can’t find it. Can Meatballs be Made Ahead of Time? Meatballs can be shaped and kept refrigerated up to a day ahead. Thaw meatballs in the refrigerator overnight before cooking. When making meatballs in a crockpot, especially making grape jelly meatballs it’s possible that you will end up with a more liquid sauce. That’s ok! Mix up a teaspoon or even two depending on how thick you want things, of cornstarch with equal amounts of water. Stir this into the bubbling mixture for the last hour, or if you’re in a hurry, put the sauce in a saucepan and simmer with the cornstarch until thick. 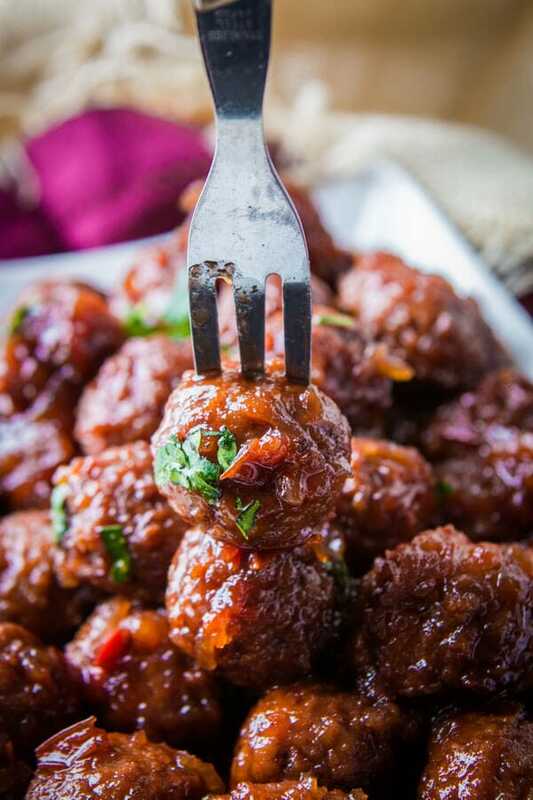 Grape jelly meatballs are great on their own as an appetizer at a party, with rice or mashed potatoes as a main dish or even on subs as a sandwich! 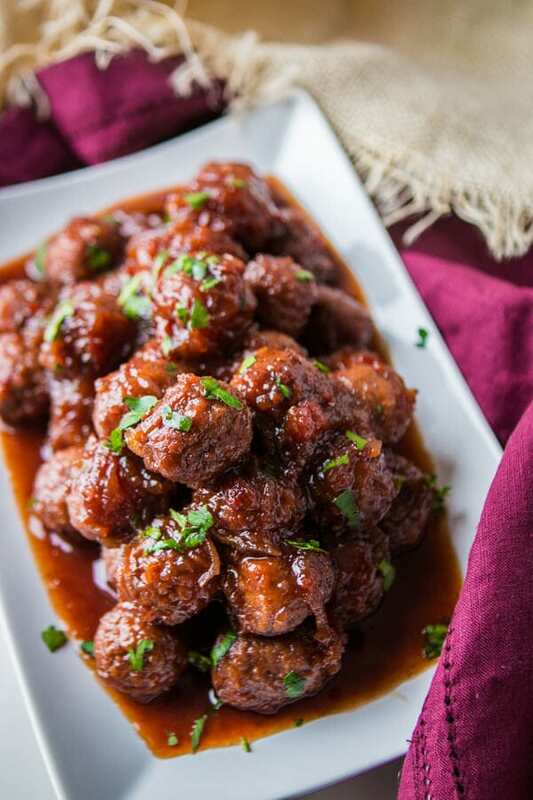 These meatballs go really well with anything, but we especially like dishes that already go well with a sauce or gravy which is why we often choose mashed potatoes. 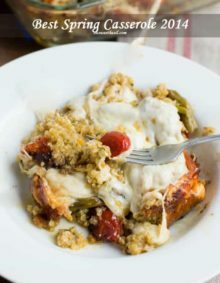 Occasionally we will go healthier with quinoa and it’s still good! In a large bowl, combine ground beef, bread crumbs, onion, egg, milk, mustard and salt. Only mix until just barely combined, I use my hands. 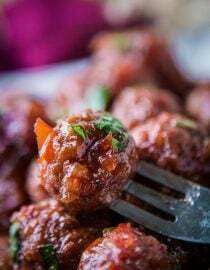 Shape mixture by rounded tablespoonfuls into meatballs. Place in the oven for 20-25 minutes, depending on meatball size. 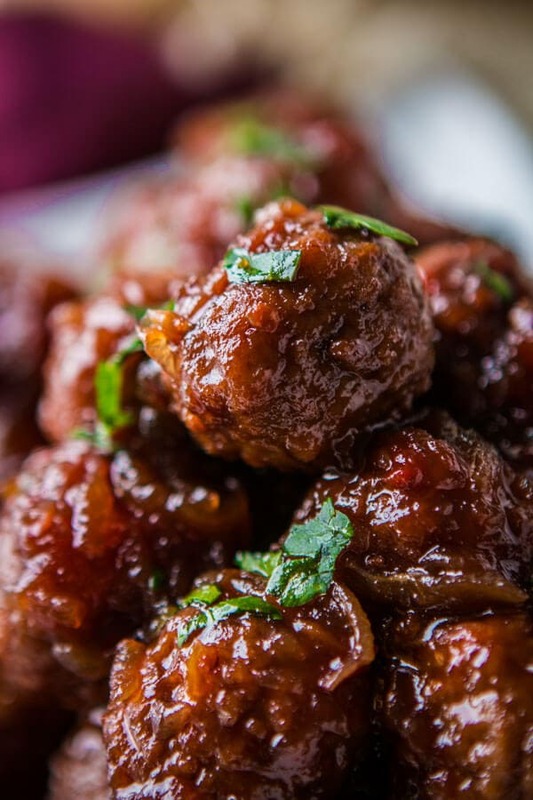 Place the meatballs, chili sauce and jelly in a slow cooker on low for 3-4 hours. Serve alone or which mashed potatoes or rice. If you want your meatballs to be in a thicker sauce, mix together the cornstarch and water at the last hour of cooking and stir it into the sauce. If you need to do it faster, put the sauce in a saucepan and add the cornstarch slurry. Bring to a boil and turn down to a simmer until thickened slightly. You may use frozen meatballs as well. 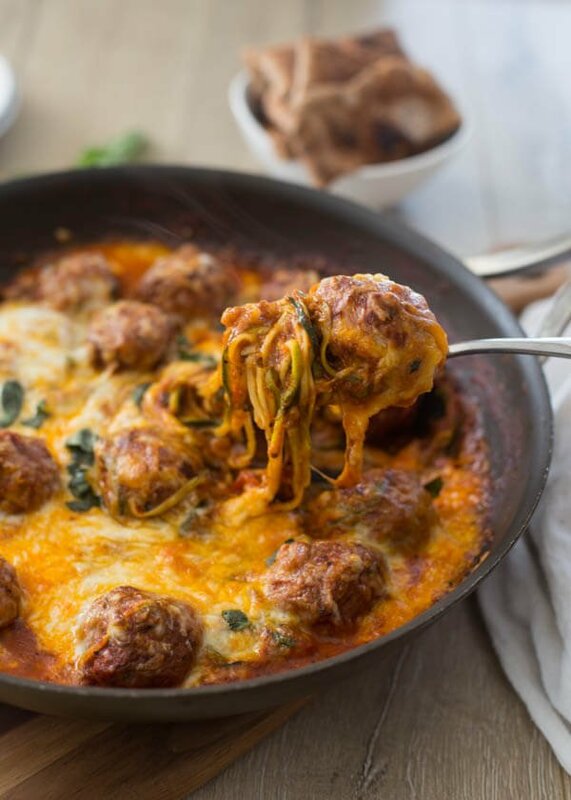 Meatballs and cheese are totally made for each other in this easy skillet dish. What is the brand of your chili sauce. We like Mae Ploy or Huy Fong Foods. Yes, they can be used interchangeably! My first of hearing about grape jelly in meatball ingredients. Hi Doris! It seems so strange, but it is seriously most the delicious combination of flavors!! I just know you’re going to love it! The recipe doesn’t say what temperature to put the oven on. It’s in there but I made it more obvious for oven versus slow cooker. 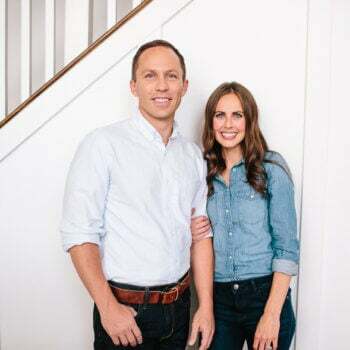 Pat, thank you so much for your kind words and support. We just love getting to know who our readers are. Hope we get to meet one of these days! I was like you, I had forgotten about these delicious meatballs. 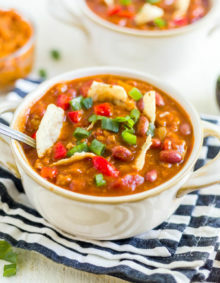 Used to make them years ago to take to parties as appetizers. I had lost my “simple” recipe and then just forgot about them. I am anxious to try them again, using your meatball recipe and will serve them for dinner with rice! Thanks for the recipe. I love them with rice! Enjoy!